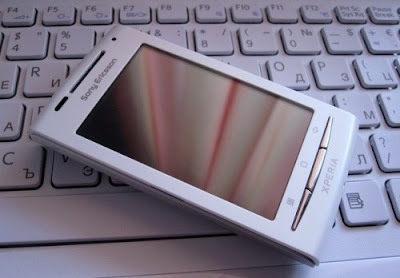 The Sony Ericsson Xperia X8 is a compact phone, but not as compact as the X10 Mini. The display is a 3-inch capacitive touchscreen (320x480). The USB and headphone jack are now placed on top, alongside the power button, which works well. A microSD hot swap slot is just under the rear panel, and you have quite a few color options for the rear panel to suit your style. 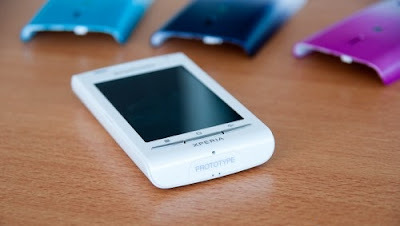 The X8 comes equipped with a Qualcomm 600 MHz processor, runs on Android 1.6, and uses Sony Ericsson’s Four Corner UI with Timescape for social networking. The UI is noticeably smoother than the X10 Mini/Mini Pro. Sony Ericsson has always complied with the norms for portable audio, but the normalization on this device makes the music almost inaudible in public. The display, although small, is comfortable enough to watch YouTube clips or 3GP or MPEG4 videos. The FM radio also has slight improvements over the previous releases. The phone comes bundled with apps like Creatouch, Roller coaster, and Peggle. However, some apps like Robo Defense don’t work with the phone. Packed with 3G, Wi-Fi, Bluetooth 2.1, and EDGE/GPRS, this phone has enough options for connectivity. Wi-Fi connectivity was a lot more stable than in the X10 Mini Pro. The X8 features a GPS module to provide location-based information, and includes the WisePilot app for turn-by-turn navigation. The X8 has just a 3-megapixel fixed-focus camera, which is just ridiculous. Thankfully, the image quality is not bad at all. The battery life was decent, lasting about a day and a half with Wi-Fi, browsing, and social networking usage. Talk time was 3 hours 30 minutes, which is average. This phone would have been a great buy at Rs 12,000, but at Rs. 15,990, it’s not really worth the price.